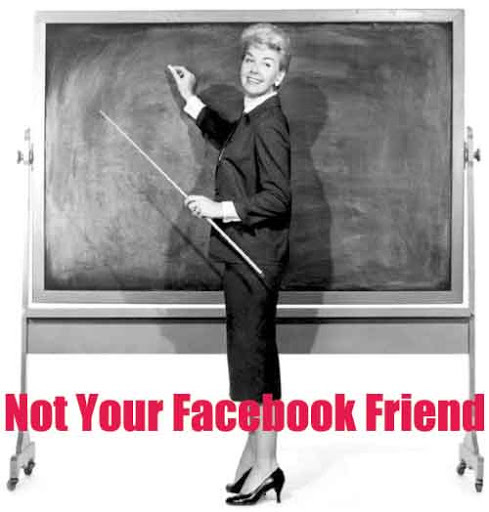 Why can’t we be (Facebook) friends? – conferences, bullying, and blogging | Jacqueline Ryan Vickery, Ph.D. I just returned from a week in London with my awesome mom. I was there presenting at the EU Kids Online Conference at LSE and my mom came with me just for fun. The conference was very productive and useful and my presentation was well received. Apart from the conference my mom and I had a great time exploring London – we ate great food, saw an absolutely amazing production of Wicked, and loved the Tate Modern. It was a great trip. Here are the slides from my presentation for anyone interested. It’s called “Why can’t we be (Facebook) friends? : Social networking, risk, and school policies” In it I consider school policies which restrict kids’ access to the internet and explore the consequences such policies have on educational opportunities. I also include the perspectives of Missouri teachers responding to the recent “Facebook Law”. I got a lot of positive feedback from educators struggling to incorporate digital media into the classroom. In addition to traveling and the conference I’ve been busy applying for jobs and working on the dissertation. The dissertation is slow moving right now but I’m making progress and really hoping to be in the field by next week *fingers crossed*. I’ll try to update more about that some time soon and share a little bit more about what it is I’m doing. For now I’ll share two interesting articles: First, a NYT op-ed article written by researchers danah boyd and Alice Marwick titled Why Cyberbullying Rhetoric Misses the Mark. In it boyd and Marwick discuss why cyberbullying campaigns are largely ineffectual and put forth a call to approach bullying from teens’ perspectives (drama rather than bullying) and frame issues within a more positive framework of “healthy relationships and digital citizenship”. And somewhat related, Anne Collier at NetFamilyNews posted an example of how blogging can be positively used in formal learning spaces to teach responsible digital citizenship in a way teens want to engage. As 15 year-old Nicole says in the article, “If I can share my work online, I get more out than I put in; then I can add even more and benefit from others’ expertise.” Both articles are related to my recent presentation in someway – that is, blocking technology doesn’t solve bullying and instead restrictive policies put students at risk of missing opportunities for kids to learn and interact via social media and blogs. It’s exciting to see examples of teachers who incorporate media in the classroom in innovative and productive ways, and hopefully in time more policies will empower teachers and students rather than over reacting and shutting down such opportunities. ← Missouri’s new "Facebook Law" – protecting kids by policing teachers? Thesis DissertationI liked this post very much as it has helped me a lot in my research and is quite interesting as well. Thank you for sharing this information with us.